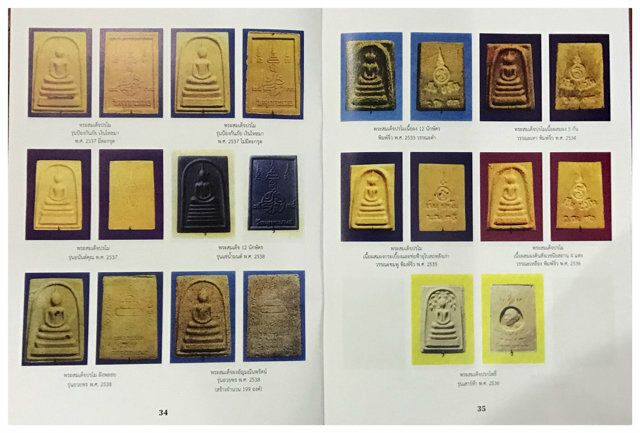 Official 58 Page Colour Catalogue of the Pantheon of Amulets of Pra Kroo Sri Pangka Sangworn or 'Luang Phu Rerm', of Wat Juk Gracher, Including detailed Biography, and the History of the Temple. 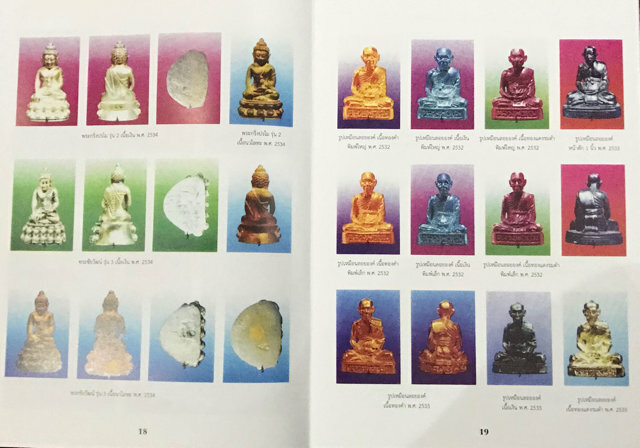 This Catalogue contains most if not all editions released at Exclusively at Wat Juk Gacher, but does not include all editions released externally in other temples. 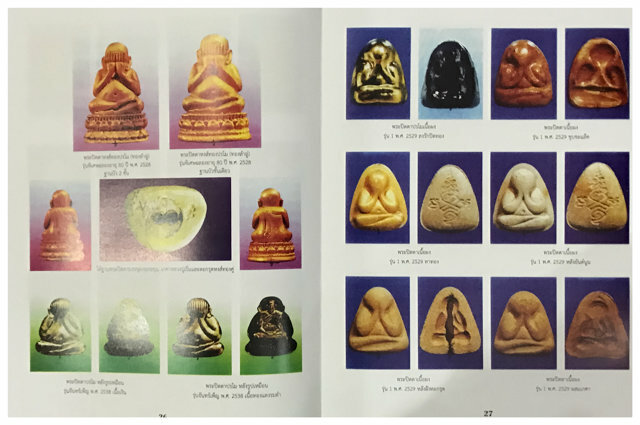 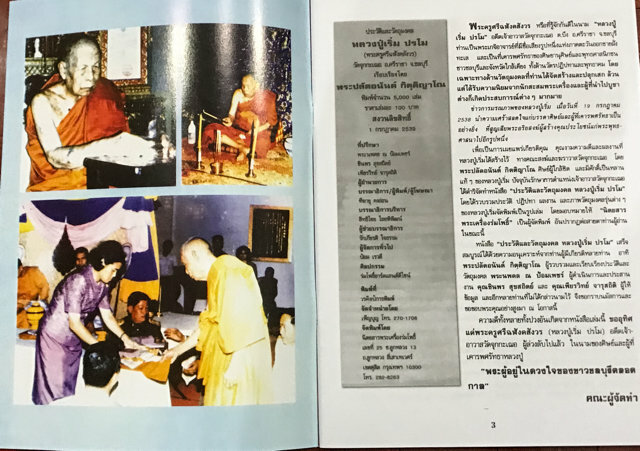 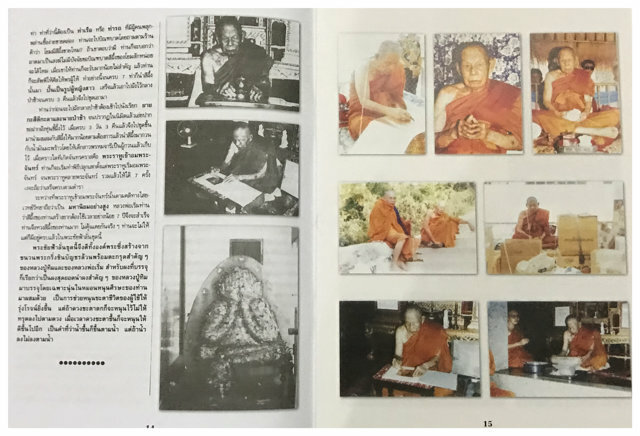 The book contains a Biography of Luang Phu Rerm, with some rare photographs, and a large compendium of his most important and well documented amulets. 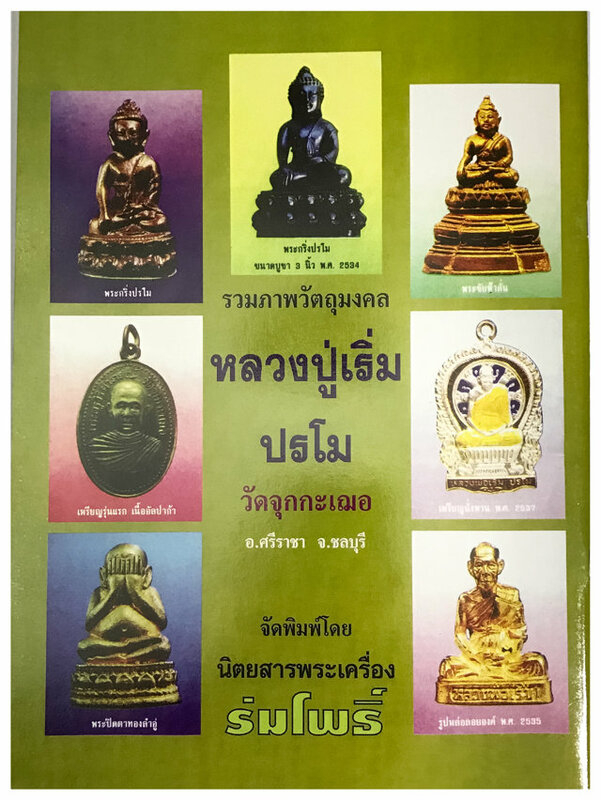 This volume is focused exclusively on Wat Juk Gacher releases, and is a comprehensive and accurate visual study of his main pantheon. 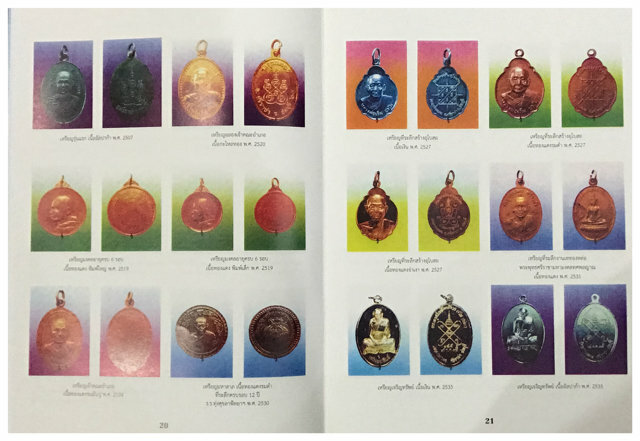 Note; For the many editions released to help other temples, a separate book covers the amulet pantheons made by Luang Phu Rerm, which he released at other temples, such as his famous Pra Gaew Morakot Emerald Buddha Votive Tablets, which were released at Wat Bang Pra in Sri Racha, and are not included in this volume. 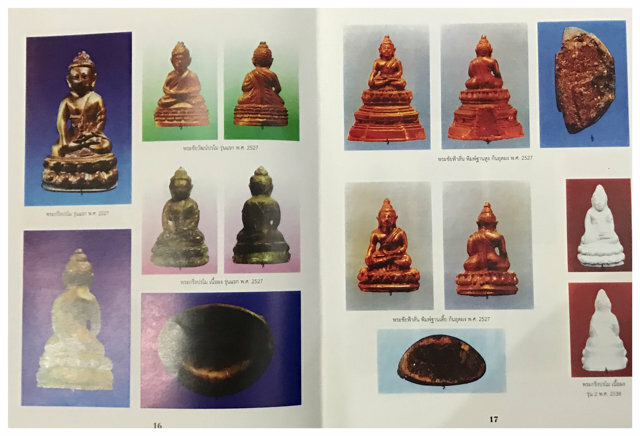 A perfect Study Companion and Reference Book for Devotees and Collectors alike to use as a manual and reference material. 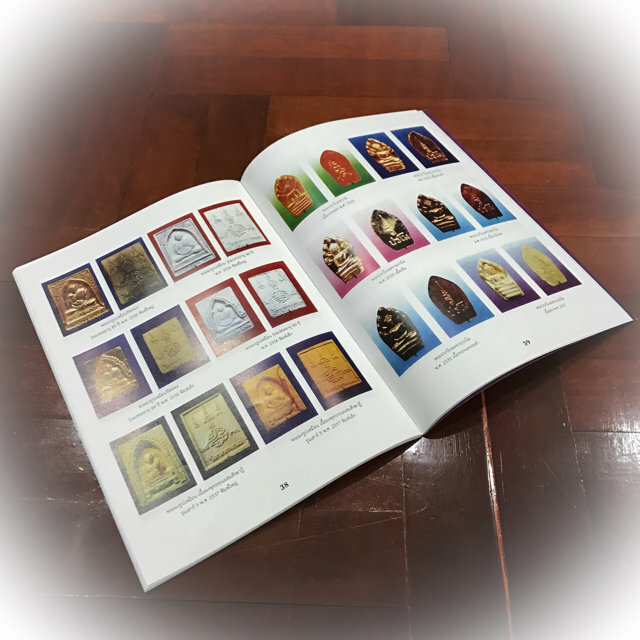 Amulet Books are the source of Knowledge and an essential tool of the Amulet Hunter/Collector, and are also an inspiring source of visual information, for people of all languages. 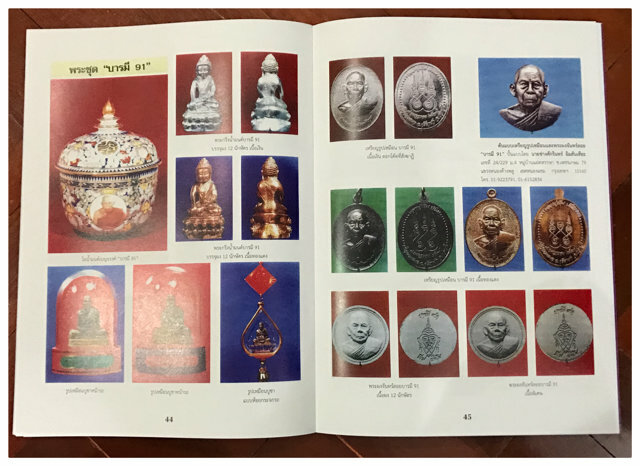 A picture speaks more than a thousand words, and this catalogue will serve any serious aficionado well to gather knowledge and increase their collection based on diligent reference study. 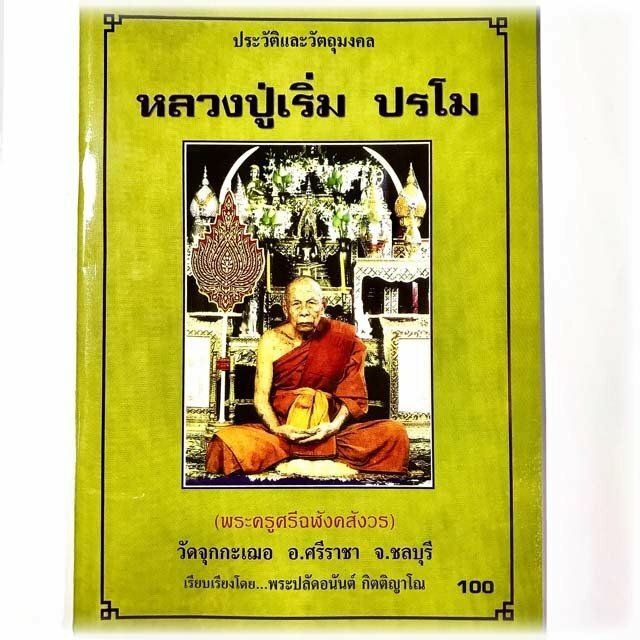 An essential acquisition for Increase Knowledge, and a Collectors Classic, that is hard to find in the present day.